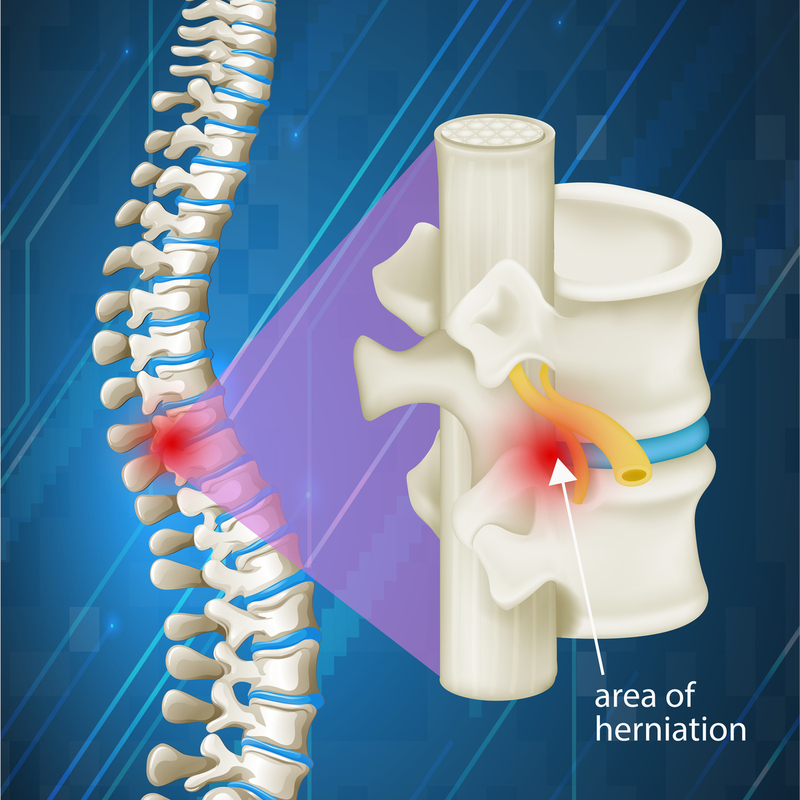 he bones, discs, and ligaments within the spinal column are closely associated with spinal nerves. In a healthy spine, these nerves travel with ample space in and out of the spinal column. However, when any spine condition puts pressure on these nerves, the result is commonly known as a pinched nerve. Pinched nerves can result from conditions such as herniated discs, bulging discs, spinal stenosis, spondylosis, spondylolisthesis, degenerative disc disease, and trauma. Symptoms of a pinched nerve may include radiculopathy. Also, where nerves travel to the shoulders and arms, a pinched nerve will cause discomfort in these regions, known as cervical radiculopathy. If pinching symptoms occur in the lower back, or lumbar spine, this usually leads to unpleasant sensations and are felt in the hips and legs such as lumbar radiculopathy, or sciatica. In severe cases, the target muscle of a pinched nerve can become weak or waste away, known as atrophy. North Jersey Spine Group understands pinched nerves get better without surgery. Through individualized attention, the award-winning spine team of board-certified neurosurgeons who are spine surgeons, physiatrists, pain management physicians, and physical therapists collaboratively treat each patient with an effective and conservative approach. Residents spanning Bergen County to Essex County including towns of Morristown, Paramus, and Hackensack, NJ are encouraged to contact North Jersey Spine Group today. The spine experts of North Jersey Spine Group understand that some pinched nerves can heal without surgery.